I’m too excited to wait so I’m posting this event now! My fellow author pal, Eva Blaskovic and I are having a joint book signing on 8th July at Audrey’s Books, Jasper Avenue, Edmonton 12:00 – 1:00 pm. Everyone is welcome! Come and see our new and improved novels, get your book signed and ask us questions on the stories or our writing process. I just have to share a few photos of the Authors for Indies event I attended on Saturday at the Sherwood Park Bookworm. We had a great time sharing our books, sharing experiences of the writing life with a new writer and talking everything books. Fellow authors Eva Blaskovic, Beth Rowe and Marty Chan joined me for the day. I even got to read from Ockleberries to the Rescue, which was fun! On Monday I have an evening hosted by our local library, Books, Bites & Bubbly. Looking forward to it. Tuesday will be my writers group, the Writers Foundation of Strathcona County’s monthly sharing meeting. 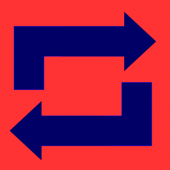 We share our current work for constructive critique, discussions and writing exercises and fellowship. The 1000 Islands Writers Festival runs May 5–7 in Gananoque, ON, featuring Cathy-Marie Buchanan, Iain Reid, Lindy Mechefske, Marni Jackson, and others. The next-best thing to a new lit fest is a new lit fest that’s coming back for its second year. After an incredible debut in 2016, The Festival of Literary Diversity returns to Brampton, ON, running May 4–7 with another stellar lineup. Vancouver Island’s Children’s Book Festival is scheduled for May 6 in Nanaimo, BC, featuring (as usual) some of Canada’s best children’s authors. Halloween Book Event – kids, treats, author readings & more! 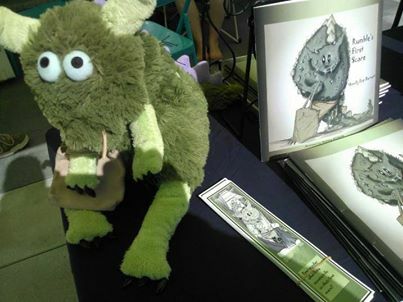 My local bookstore, The Bookworm (http://www.parkbookworm.ca/) in Sherwood Park is hosting a special event on 31st October. Several authors will read from their Halloween inspired books and one, Beth Rowe will launch her new book called Mischief, Mischief. You can see the cover bottom right. Bring your kids and/or grandkids for a fun afternoon with treats and special spooky stories. Costumes are welcome too! 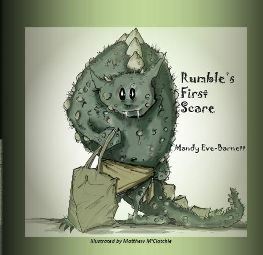 I will read Rumble’s First Scare and have Rumble with me as he always enjoys being cuddled. I know it’s a bit cheeky but I’m re-blogging a short blog piece I wrote for a client today. Restricted to 200 words, I keep them simple but hopefully interesting enough to encourage conversation. After submitting the post, I thought about how some local businesses help my publisher, Dream Write Publishing – http://www.dreamwritepublishing.ca/ – in promoting their local authors. Smaller book stores, a volunteer run cafe, an artisan market and a few other general stores assist in stocking the books for sale. The benefit in liaising with the store owners gives each party a deeper understanding of the narratives content as well as the opportunity to meet and greet the authors with signings and the added advantage of an expanded promotion of local events. Do you have local stores stocking your books? 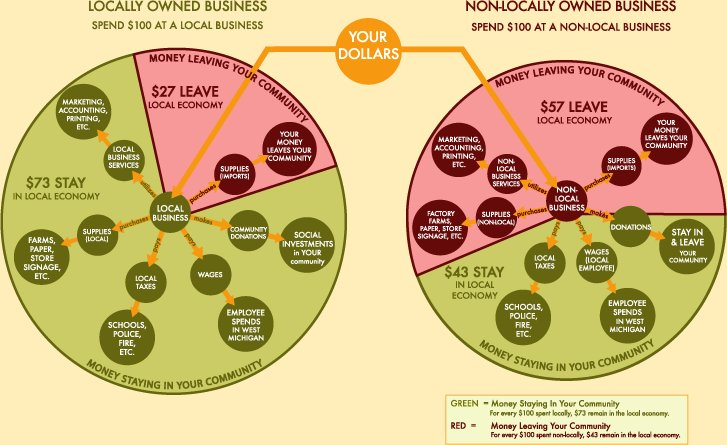 This graph for shop local is a great visual guide to how shopping local benefits the community in which we live.